Went to the range with friends today. Tried their guns and let them try mine. Fond out, for example, that .223 soft points don’t feed well from GI magazines but work just fine from PMags. Tom has been shooting since age 3. He shoots his father’s AK, so vz58 to him was just a weird AK. Which is neat, because the gun itself and the magazine are so much lighter, I had expected a more energetic kick. Turns out the amount of recoil is similar, but the loud mechanical noise of the AK bolt carrier which I find annoying is gone. From the proportions of Tom to his Walther P22, you can see that he isn’t a big kid. Short vz58 stock fits him pretty well. V-notch sight was pretty hard to see at dusk — the fiber-optic replacement was waiting for me at the door upon my return from the range. At least I will have it for the next time. As dusk approached, we set up a bag in front of a backstop and Tom ran a magazine through the XR9S at 20 yards. The pistol was loaded with short range tracers, but Tom couldn’t observe them as the gun in recoil blocked his view briefly. From the sidelines, I could see some tracers hitting and some missing. The final score: four hits, three near misses. That’s at twenty yards in low light with a gun he’d never fired before. Doesn’t look like the recoil bothered him much, either. This entry was posted in interesting people, pistol, rifle, training, weapon and tagged 7.62x39, 9x19, boberg, boy, kid, vz58. Bookmark the permalink. 5 Responses to Shooting well at age 11. He’s got a better kneeling position than some of my Soldiers had. As for the handgun, considering the circumstances pretty good shooting. 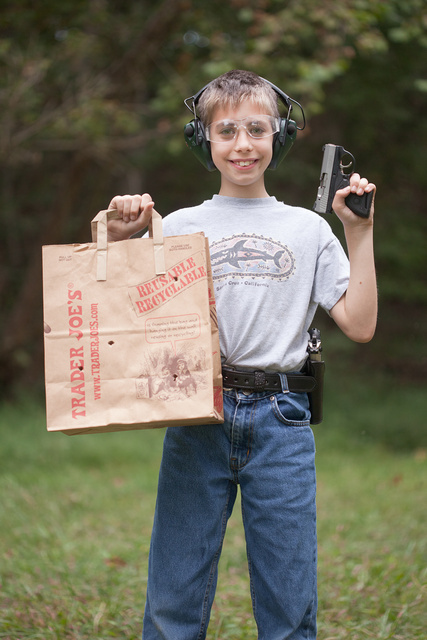 Given more time on that pistol I bet he’d have more hits and a tighter group. Glad I’m not the only one to start a child shooting early. Awesome, another vz-58 convert! Like I tell people, I’ve had AK clones, but I have a vz-58. 🙂 Get the NEA/Neit extended bolt release and ambi extended mag release, great accesories. 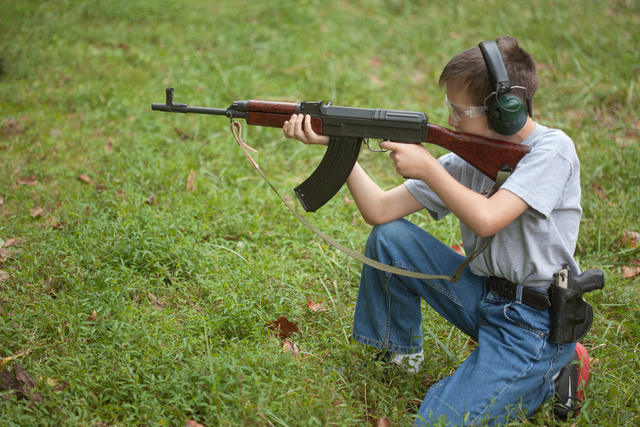 My son will be shooting my vz-58 this next range trip, same age but a smaller kid. Nice to see someone actually got a Boberg, thought they were just vaporware for years. Great shooting for a young kid.He does have great form. Have you noticed that the controls on the vz.58 are set up perfectly for a left-hander?